Banana flowers/blossom is one of the super veggies that are good for the health of women of all age groups. It is packed with fiber contents and iron contents. It prevents infection; it reduces free radicals activity, it cures anemia and good for diabetic patients. It regulates bleeding during menstruous period. It supports to increase the breast milk of lactating mothers. You can try this delicious curry kuzhambu for idlies, dosais and hot steamed rice. It exactly tastes as non-vegetarian gravy. 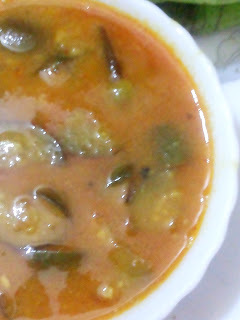 Every floret of this curry is looking like ayirai or nethili fish. Clean the banana florets by removing the stigma and transparent petiole. Collect them in a bowl. 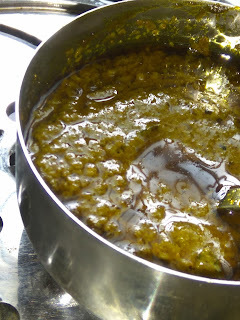 Collect the shredded coconut, fried gram, poppy seeds, cinnamon, Coriander powder, cumin seeds, pepper in a mixer and blend them into a fine paste. Heat the wok with oil over a medium flame. Add mustard seeds one cinnamon, star anise, two cloves, fennel seeds to crackle. Once they start to crackle, add shallots and curry leaves. Saute for a while over a low flame. Add ginger garlic gratings and saute till the nice aroma emanates. Add banana flowers and saute for few seconds. Add turmeric, red chilly powder, mutton masala, tomato pieces and saute for two seconds. Now add the ground masala and saute for two seconds over a low flame. Add required water and salt. Allow boiling until the flowers cooked. 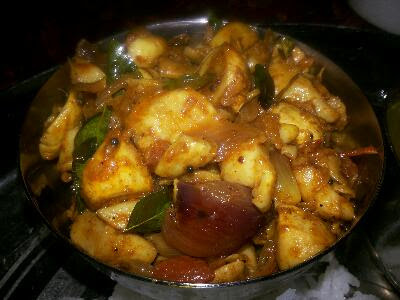 Remove from flame and serve with chapathies, rotis, idlis dosas or hot steamed rice. It goes very well any main dish. 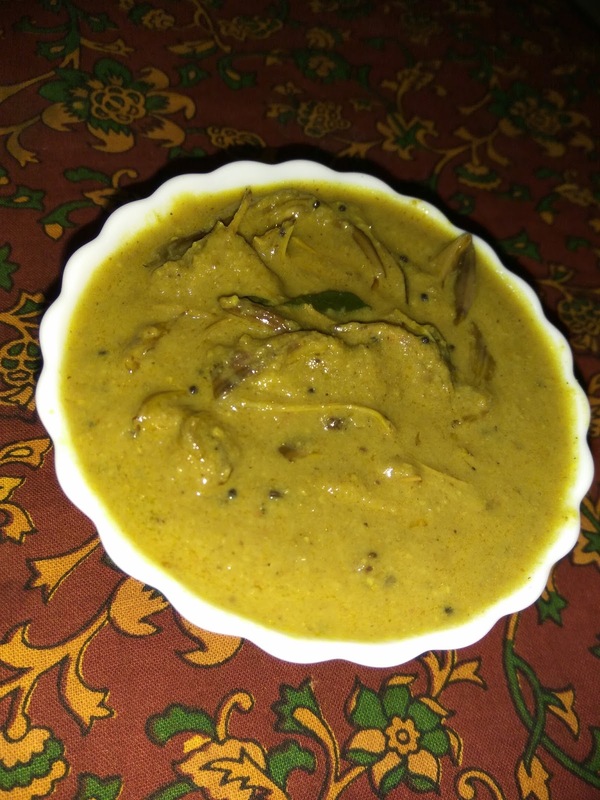 This is the same method as the other veggie kuruma or gravy of South India.